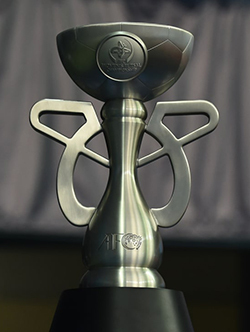 Bangkok: As the dust settles on another memorable AFC Women’s Futsal Championship, the-AFC.com looks back at some of the tournament’s unforgettable moments. Arriving in Bangkok with easily the youngest and least experienced squad in the tournament, Bangladesh made a start to remember. In what was, for the overwhelming majority of Golam Robbani Choton’s team, their first competitive futsal match, the South Asians shocked 2015 semi-finalists Malaysia when 16-year-old Masura Parvin slammed home the opening goal in just the third minute. Their lead lasted less than a minute, and they went on to lose all three of their Group B matches, but Parvin ensured Bangladesh’s young charges returned home with a least one moment to cherish. After being held to an unexpected 1-1 draw by Indonesia on Matchday Two, Thailand began their final group stage match with Hong Kong knowing a loss would see them eliminated, but Jenjira Bubpha settled their nerves in the blink of an eye with the fastest goal of the tournament. She took just nine seconds to put the hosts in front, laying the foundation for an emphatic 8-0 win, in a match dominated by Udom Taveesuk’s starting quartet, who scored the first six goals. Vietnam were the big improvers of Thailand 2018. Having lost all three of their matches in the 2015 edition of the tournament, Truong Quoc Tran’s squad had a perfect record in this year’s group stage, but their crowning achievement came in the quarter-finals. With just three minutes remaining, and her side deadlocked at 1-1 against a resurgent Indonesia, Nguyen Thi Hue got on the end of a rapid counter-attack to fire the ball home and put Vietnam into the semi-finals for the first time. It wasn’t the highest-scoring game of the competition, but it may well have been the most absorbing. A drama-packed replay of the 2017 Asian Indoor Games final, the semi-final which saw Japan eliminate hosts Thailand was one to remember. Ryo Egawa gave Kenichiro Kogure’s side an early lead before Thailand lost tournament star Mutita Senkram to a red card, but the hosts rallied to equalise through Jenjira with ten minutes remaining. With the largest crowd of the tournament cheering them on, Thailand looked for a winner, but it was Japan’s Masami Kato who stroked the ball home seven minutes from time to decide an epic battle and put her side in the final. In one minute – or 58 seconds, to be precise – of game time in the tournament final against Japan, Islamic Republic of Iran went from having a narrow one-goal lead to effectively having both hands on the trophy at 4-0 up. Two of Sara Shirbeigi’s three goals and a Fereshteh Karimi-induced own goal were the results of a blistering burst of Iranian quality, with Fahimeh Zarei’s magnificent back-heel that followed soon after the icing on their eventual 5-2 win. Shahrzad Mozafar’s side produced plenty of highlights in Bangkok, but their second-half scoring spree is the one which will be etched into the memories of all who saw it. Tehran: Islamic Republic of Iran’s victorious AFC Women’s Futsal Championship 2018 squad have returned to a heroes’ welcome after being crowned Asian champions for a second time. The Sharzad Mozafar-coached side, hailed the “Queens of Asia’ by the Iran media, was greeted by a crowd of supporters and officials as they continued to celebrate their second AFC Women’s Futsal Championship title won with a 5-2 win over Japan in Bangkok on Saturday. The victorious players received bouquets of flowers and posed for pictures, with captain Nasimeh Gholami, Thailand 2018 Most Valuable Player Fershteh Karimi and Top scorer award-winner Sara Shirbeigi among the most sought-after individuals. The victory has been excitedly celebrated in the country, with football’s all-time international goal-scoring record-holder Ali Daei and current Team Melli head coach Carlos Queiroz just some of the football luminaries to pass on messages of congratulations.